Yesterday was the first ever Light Up the Night 5K in honor of Jennings Osborne. Jennings Osborne was a beloved Arkansas philanthropist who lost his life to heart disease earlier this year, and his daughter Breezy is a friend of ours. For those of you who may never have never heard of Jennings, he founded the Osborne Research Center and played a huge part in the University of Arkansas Medical Sciences program. He was well known for his random acts of kindness, showing no discrimination to anyone and loving everyone. If you’ve seen Man vs. Food Little Rock, Jennings is the one who threw the giant BBQ for LRPD, LRFD and other emergency response and civil service workers. Perhaps most famously, when Breezy was very young – around 5 or 6 I believe – she asked her father for Christmas lights on their house. In typical Osborne style, Jennings went over the top. After more than 1 million Christmas lights were strung on their house, neighbors complained about the traffic it caused and even sued Jennings. He fought it all the way to the Arkansas Supreme Court but eventually lost. However, Disney took note of Jennings’ display and contacted him about starting a Christmas light parade of epic proportion. The Osborne Family Spectacle of Lights – or as you may know it simply as Disney’s Christmas light parade – started and has run ever since. This man meant so much to so many. Even after his death, Breezy and her mom Mitzi found out about many acts of kindness Jennings performed but they never knew about. Things like paying for a child’s funeral when the parents couldn’t afford it, and so much more. After hearing all of this, it’s probably no surprise that more than 800 (I’d guess closer to 1,000) runners showed up for the first annual Light Up the Night 5K, which benefited two local charities. I decided to run the race on a whim. No one wanted to run with me, but I decided it was going to happen. Did I train for the race? No. Could I tell you the last time I went to the gym? Nope. 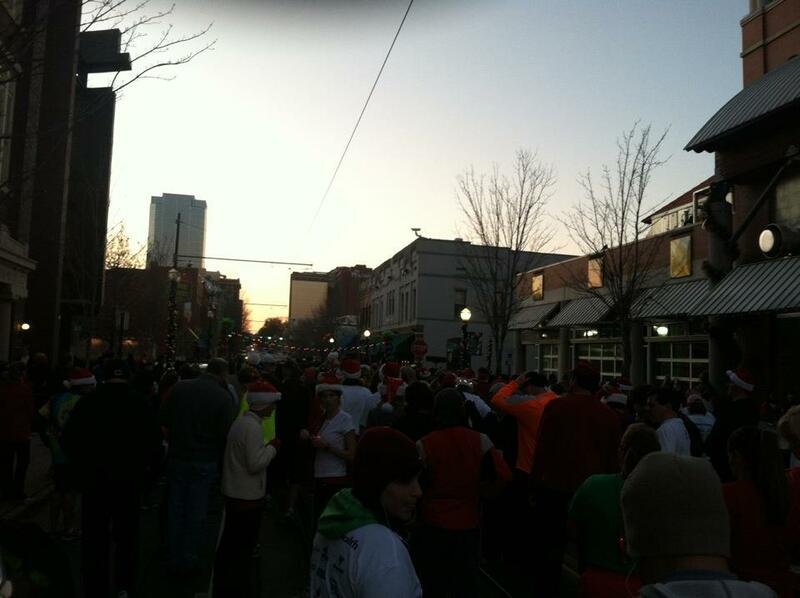 But I LOVE Christmas lights, and who doesn’t want to run 3+ miles in light-covered downtown Little Rock? Oh, and did I mention it was 40 degrees? Clearly I’m crazy. The race course was fairly simple and flat. The state capitol building served as the halfway point and there were people cheering you on the entire way. I did a mixture of running and walking with a goal of finishing in under 40 minutes (I thought, even without training or working out recently, that this was a “reasonable” time). 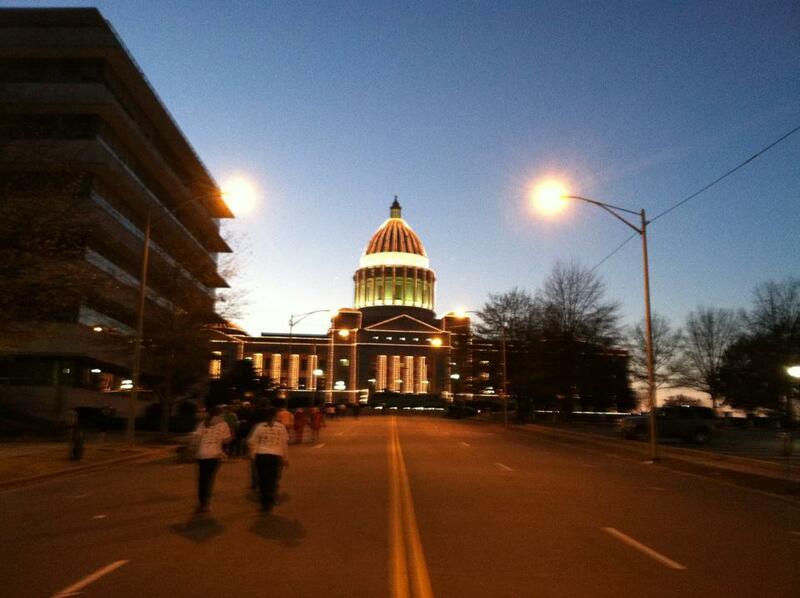 The capitol all lit up for Christmas - the half way point of the race. My hands were completely frozen the entire time – they looked like claws that couldn’t be moved. After the sun set (just after the half way point), it got colder, despite all the running, and I just wanted to be near a heater. But I pressed on. Seeing the lights all around and the crazy runners in Christmas tutus and lights strung on their bodies was enjoyable and encouraging. After what felt like forever, the finish line was in sight! There was a huge crowd of people cheering everyone on (I’m guessing the billions that finished before me…I am in no way a runner), and it was so fun to cross the line. 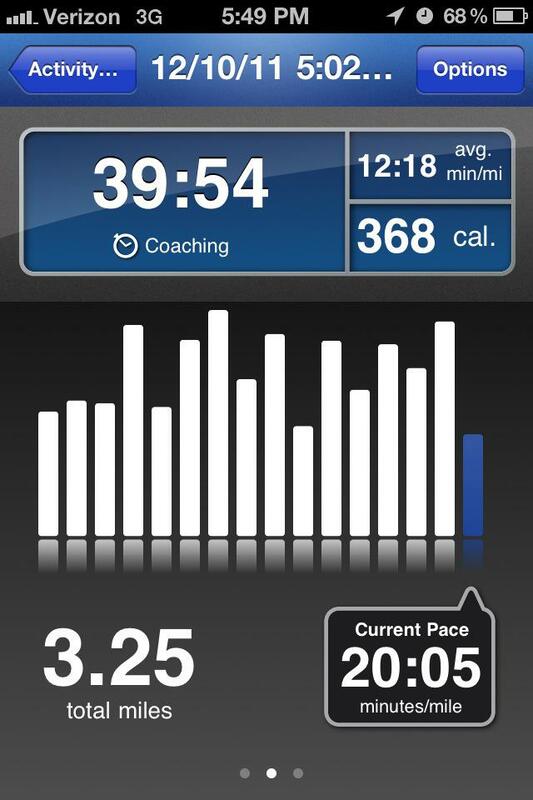 After about 30 seconds it occurred to me that my Run Keeper was still going. After a bit more time, my frozen claws were able to type in the password to my iPhone and pull up the program. Even after all of that delay, I’d finished under 40 minutes! I’m subtracting 30 seconds from this as my “official” time, due to the frozen claws and memory lapse. I did it!! Under my goal time!!! If this shows up twice, sorry! I got an error trying to post it. Anyway, I also wanted to do this but didn’t want to do it alone. Clearly we need to run all our ideas by each other. :-) Such a neat event. I’m glad you did it and met your goal. We can make you a half marathoner by the Little Rock Marathon weekend….